Professor Weinberg is an astrophysics theorist whose research interests include compact objects, binary evolution, stellar oscillations, and explosive thermonuclear burning. His current research focuses on short period binary systems, including stellar binaries, planetary systems (e.g., hot Jupiters), and compact object binaries. He is particularly interested in understanding how the strong tides in these systems influence their evolution. The next decade promises to be very exciting for the field of binary stellar systems. With the first detection of gravitational-waves from the merger of a binary neutron star by LIGO and Virgo (GW170817), we have entered a fantastic new era of gravitational-wave astronomy and neutron star astrophysics. The tides raised in the neutron star leave an imprint on the gravitational wave signal that encodes detailed information about the internal structure of these enigmatic objects. Space missions such as TESS will reveal a wealth of information about close stellar and planetary binaries including tidal dynamics, asteroseismology, and stellar evolution. Weinberg also studies thermonuclear explosions on the surfaces of accreting neutron stars, known as X-ray bursts. By understanding their nature, we can learn about the structure, composition, and evolution of the accreted layers and constrain fundamental properties of the underlying neutron stars. The NICER mission aboard the ISS provides a view of bursts in the soft X-ray band at unprecedented sensitivity. 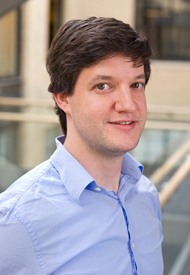 Nevin Weinberg joined the MIT Physics Department as an Assistant Professor in July 2011. He grew up in the suburbs of NYC, received his undergraduate degree from the University of Chicago in 2000 and his Ph.D. from Caltech in 2005. He was a postdoctoral fellow at the Kavli Institute for Theoretical Physics from 2005-06 and at the University of California, Berkeley from 2006-11.